I just love making various decorative candles and candles sticks. Recently I have share a DIY project for the Valentine day – orange shell candles. Here is another easy and fun project for you. This is another cute way of decorating a mason jar. This time I used polymer clay and decoupage. 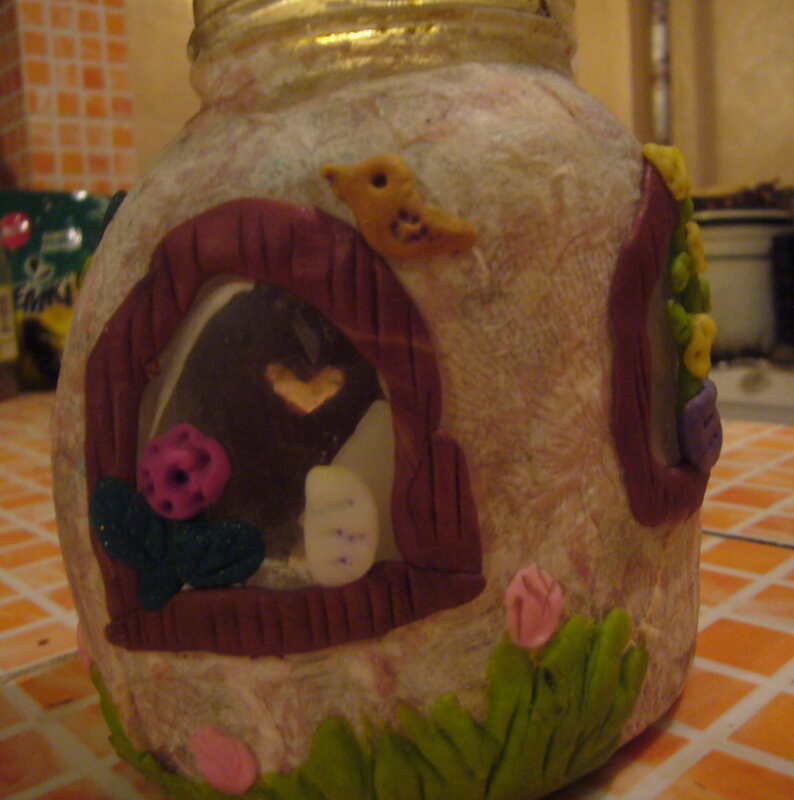 I have turned a jar into a little cute house with door and windows. Using this technique you can decorate a mason jar in any style, including a romantic one suited for Valentine day. 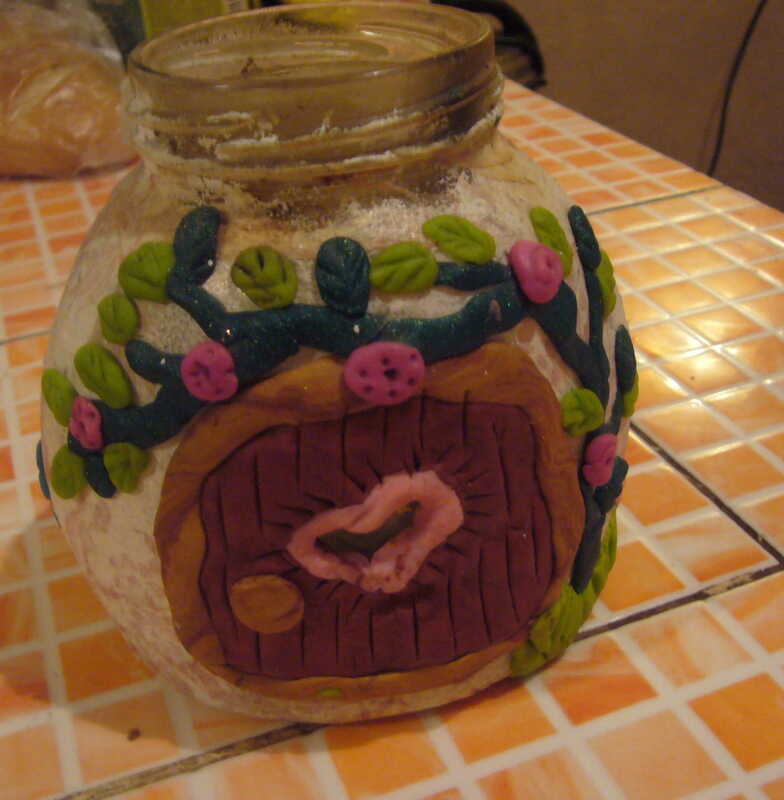 First I painted the jar with white paint, only I left some blank spaces for the door and windows. Then I decoupaged all the painted surface. 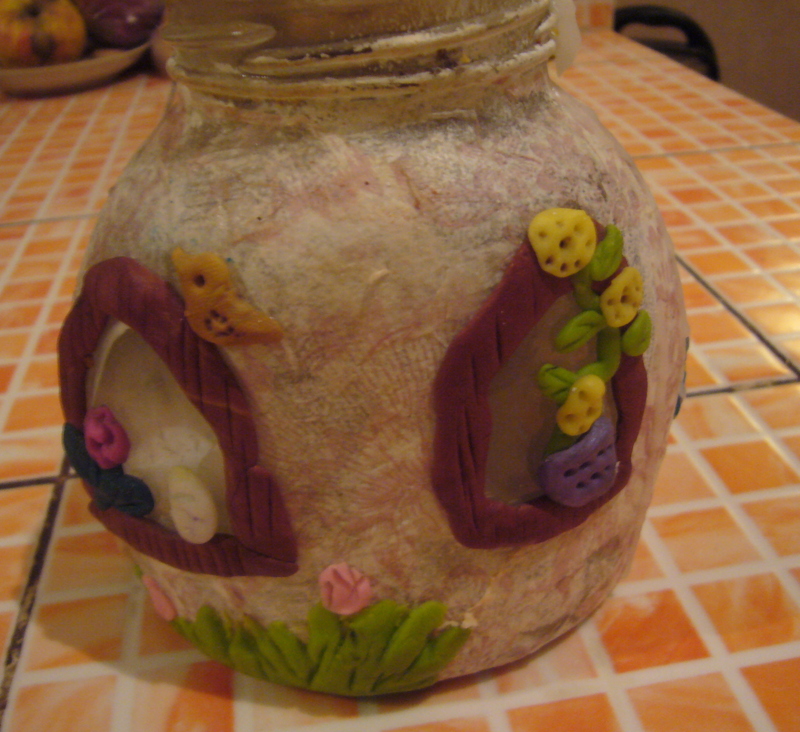 Next, I moded polymer clay details and just pressed them against the jar. Finally, I have boiled the jar in a pot for 10 min in order to get my clay firm. You may use a different type of clay that does not require any boiling. Here you go. Pin away and follow me on Pinterest. I have tons of fun projects pinned there. This entry was posted in Crafting Tutorials and tagged diy candle stick, mason jar candle, mason jar decoupage, pinterest craft jars, repurposing, upcycling, valentine day candle. Bookmark the permalink.